and your one is just linking "full frame mirrorless" which is only a small portion of the overall market, what the heck good is that? here's real world data of course it doesn't fit with your narrative that you seem to be consistently posting on. 2016 was artificially high. so if you discount that year, Canon's marketshare has been steadily growing since 2015. In a declining market. I didn't know this. Thanks for pointing out. It seems everywhere I look, Canon numbers including sales volume has been down. I’m not claiming they’re gaining market share, I’m statingvtheyre not losing any. You’re claiming they are. Have you seen the front page? The digital camera market is shrinking, so is ILC market segment. Canon’s market share is not changing. Your claims that all the ‘competition entering the market’ are having a negative impact on Canon are simply not suppprted by the data. Continuing to repeat misinformation won’t change the fact that it’s bogus. Tengo una 7D II con una gran cantidad de uso y se ha comenzado a fallar. El problema es que entra en el menú cuando toco cualquier botón de la cámara, y es imposible usarlo cuando sucede. En mi país no hay servicio de canon oficial. Tengo un viaje a Ecuador pronto y en base a los comentarios que compré un nuevo 80D como un cuerpo de reserva. Una gran decepción, la AF es muy inferior a la 7D II y realmente no funciona para lo que necesito. Tengo amigos que utilizan la D500 de Nikon y es triste que aceptar pero es muy superior a mi 7D II, en la FA y en alta ISOS. Si el canon no actualiza el 7D II, que debería considerar el cambio a Nikon, que no quiero ya que tengo lentes, flashes y todo tipo de accesorios que serán una pérdida de tiempo y dinero. 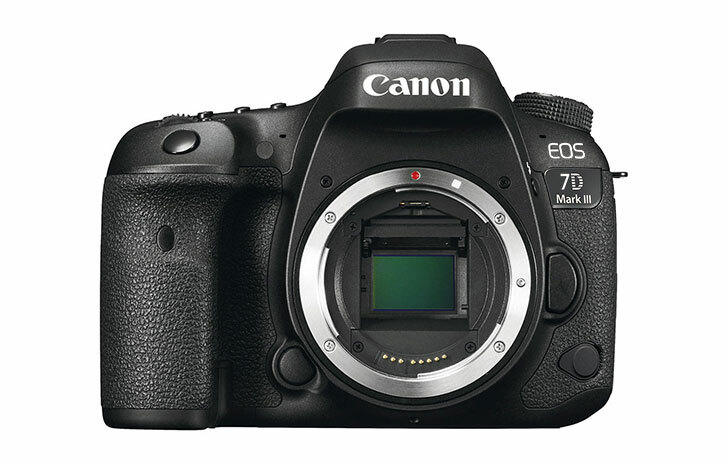 De todos modos, creo que Canon no tiene un sensor que puede competir, y esa es la razón por la que no veo un nuevo 7D II. No tengo ninguna interer en el sistema de RF por ahora. That's unfortunate. I can understand why you wouldn't want to buy a new 7DII or pay a lot to have it repaired at this point, when you never know when a new model might come out. Neuro, normally you are right, but this time you are wrong. Phones are going to completely replace DSLR and Mirrorless cameras. I have already given up on them for bird photography and the reason is easy to see. Just look at the following pictures! Canon make a lot of products from entry fixed lenses to FF mirrorless. They still have alot of loyalty world wide. Their top selling mirrorless is M50 while Sony is A7III that cost significantly more. As an enthusiast and a professional, I care more about FF market more. I could care less about sales numbers for entry camera. Canon EOS RP will sell well but it doesn't mean much for me. The sales for December 2018 are - Sony: 66.4%, Canon: 17.5%, Nikon: 16%. You don't think more competitions not just in camera manufacturers (Canon, Sony, Panasonic, Sigma, Nikon) but lens manufacturers (Tamron, Sigma, etc) has any impact on Canon especially in the FF market? That makes no sense. Camera companies are not sports teams. The only reason to care about the market is because it has an impact on the profitability and sustainability of the brand. It is important because it means the company is more likely to continue to improve and market new products and support its lines. To get a sense of that, you need to look at the entire product line. Sales of entry-level cameras has a direct (in fact the most) impact on sustainability in the market. Splitting hairs down to only the product that you specifically care about only makes sense if you get some satisfaction from owning a popular product. There is nothing wrong with that, but don't think for a minute it has any real world impact. Of course it does. That's why Canon has entered the full-frame mirrorless market and laid out an aggressive strategy with high quality lenses and a variety of bodies. Canon is reacting aggressively to market changes, it's just not reacting in the way that you specifically want it to. I love the catchlight in the eagle's eye! Are you saying that there will be no G7X III this year? Consider this: prior to September, 2018 Sony had essentially 100% of the FF MILC market, since the only competition in that sub-segment was Leica, and Leica doesn't really sell enough cameras to be even a blip on global market figures. You are arguing that 'all this competition is hurting Canon', but the data you link to support that claim tell a very different story. Sony lost 44% of the Japanese FF MILC market in just 4 months. How can you believe that supports the argument that Canon is hurting from competition? Sorry but the lack of logical comprehension inherent in that suggestion is rather staggering. Consider...back in 2012 Sony was essentially the only maker of ASP-C MILCs (the other brands were m4/3), and there were no mainstream FF MILCs. Canon launched the EOS M, critics and forum dwellers hated it. Sony pivoted to emphasize FF MILCs, which was a wise move on their part since the EOS M line has now become the best-selling APS-C MILC line. But now, Canon and Nikon have entered the FF MILC market, and Sony is hemorrhaging market share, although they remain the leader in that sub-segment (for now). Time will tell if they can hold onto that lead once Canon and Nikon have had FF MILC models on the market for a full year. Not according to data. I'm not whining about it neither do many people who has already switched to another FF mirrorless. That proves that in a year in which Canon did not offer a FF MILC for most of the year they didn't win the sales game of FF MILCs. Enjoy the next few months, because when those numbers come out next time you're going to be sobbing in the corner. What it does not prove is that people who already owned Canon cameras (FF or crop) are actually jumping ship to Sony or anyone else as is constantly claimed. Do you want to try again? Why would I sob? We are talking about camera not life or death situation I deal with every day in my full time job. If a certain camera sell more or less, I couldn't care less. I don't own any share in Canon, Nikon, Sony etc. I own shares in other companies and I don't care either as long they make me money. A camera is just a tool for me. When it comes to updating the 7D Mk II they don't really need anything earth-shattering to give many current users what they want. Parts-bin engineering could provide the sensor from the 80D for a boost in resolution and DR. The fixed touch screen from the 5D Mk IV could provide additional functionality and user-friendliness without compromising durability like a flippy screen might. Dual Digic 8 processors would eliminate buffer issues and enable more impressive video capture options. The AF system from the 1D X Mk II would improve AF capabilities. Any improved DPAF capabilities from the EOS R for improved performance during live-view shooting and video work would be welcome. Carry over the 10FPS 200k life shutter, the SD/CF card slots, the joystick, and the LP-E6N battery from the current model. None of those things are new, but they could take the 7D Mk III several steps closer to the D500 without requiring a huge investment in new tech, keeping the price under control. I've already traded up from a 7D Mk II to a 5D Mk IV and sold my EF-S lenses, but when I go looking for a second body I would rather put my long glass on a crop-sensor body with the capabilities that I have described then deal with the current limitations of the R line. From all those certified cameras, the EOS R (Edit: meant the RP) was the only one released so far. There's a bunch of M and SLR on that list. Especially the 32 MP 90D sounds really interesting. And you mentioned a rumor about the upcoming 24MP sensors beeing new designs recently. So those M6 and M5 upgrades could be quite interesting as well. I hope the M upgrades do come. In South Africa one of the online stores already has the M5 marked as discontinued, and prices are dropping on M6. I won't upgrade right now, but want the system to stay alive and well. Perhaps this post needs its own topic, or perhaps it deserves oblivion. I'm wondering about the "be careful what you wish for" possibilities of 4K. That seems to be on everyone's wish list for all sorts of cameras. Ignoring the whole discussion of whether most folks need or will benefit from 4K (which we've had before, and which seems to have less relevance as more cameras include it anyway), can the implementation in some cameras amount to less quality from the 4K as from the existing 1080p? Or is that fact that sensors are already greater than 9 MP mean there are plenty of data for 4K anyway? What about compression? Is highly compressed 4K really any better or more useful than moderately compressed 1080p, say for example that you get the same bitrate for transferring and storing? If I had to guess, they're probably going to announce the next gen M5/M6 on April 3rd. I've seen more and more online retailers label them out of stock. something wrong with your calculations I think. Pixels have full well (max. electron counts) in the order of 100,000, not 2^14. DR is 20 log(full well/noise) so if noise is 10 electrons and FW 100,000 that makes 80dB DR, just over 13 bits. Though smaller pixels may not reach 10,000 electrons FW, and noise might not be as low as 10 but the best pixels can reach 2. A long time ago (well, maybe a couple of years) it was reported that Canon were thinking of updating "all of the 400mm lenses". We've had upgrades to the 100-400, 400DO, 400 f/2.8 ... where's the one for 400 f/5.6? ... where's the one for 400 f/5.6? It was called the EF 100-400mm f/4.5-5.6L IS II.